Informed consent is obtained with a discussion of risks including but not limited to adjacent organ injury and unrecognized bowel injury. Patients are made aware that safety is paramount, and open conversion may be required for completion of the planned procedure. Patients undergo a full mechanical bowel preparation at home with 4 L of polyethylene glycol one day prior to surgery. Oral antibiotics covering normal intestinal flora are also given. The patient is admitted the morning of surgery. Preoperative antibiotic prophylaxis with a second-generation cephalosporin at induction of anesthesia continues for the first postoperative day. Lower extremity compres-sive devices are applied. Once general anesthesia is induced, the gastric contents are emptied with a nasogastric tube, which remains in place postoperatively. 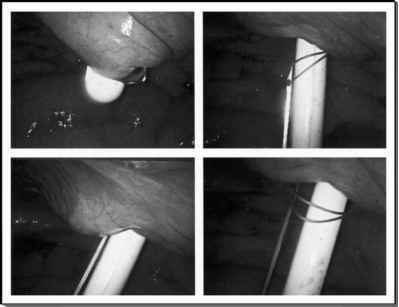 A 16-French Foley catheter is placed to drain the bladder.